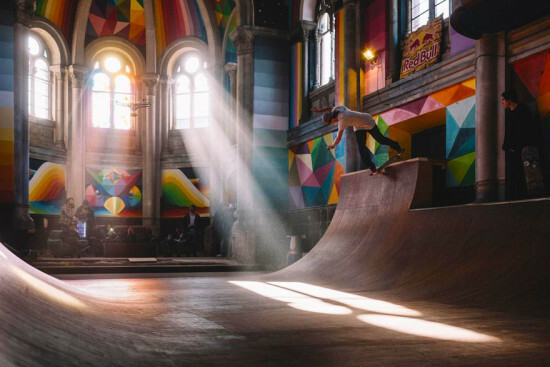 Move over, Jesus: skateboarders convert a historic Spanish church into a "temple of urban art" - Archpaper.com Move over, Jesus: skateboarders convert a historic Spanish church into a "temple of urban art"
The Spanish Church of Santa Barbara, designed by Asturian architect Manuel del Busto in 1912, faced severe deterioration from years of abandonment, until Church Brigade skate collective slid in. The collective’s transformation, Kaos Temple, is a skate park completely immersed in geometric street art. 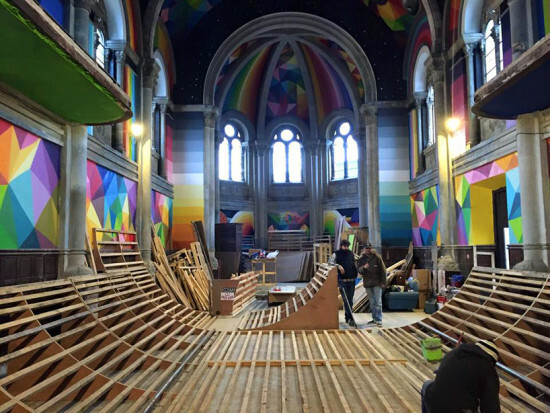 With support from online fundraising and energy drink maker Red Bull, Church Brigade designed, built, and installed skate ramps inside the church. Church Brigade commissioned Spanish street artist Okuda San Miguel to paint the interior. In one week, San Miguel, with the help of three assistants—Antonyo Marest, Pablo Hatt, and MisterPiro—finished the transformation. 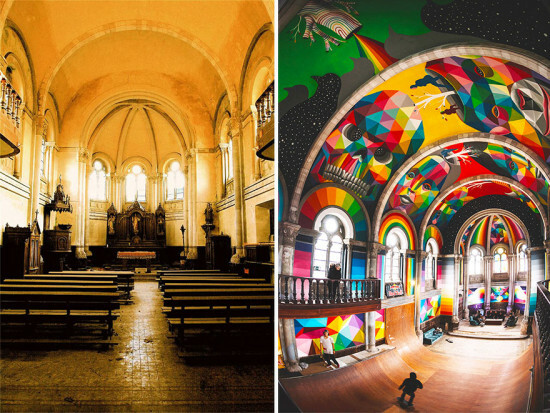 Light filters in through stained glass windows, illuminating walls colored with geometric skulls, wildlife, and human faces. 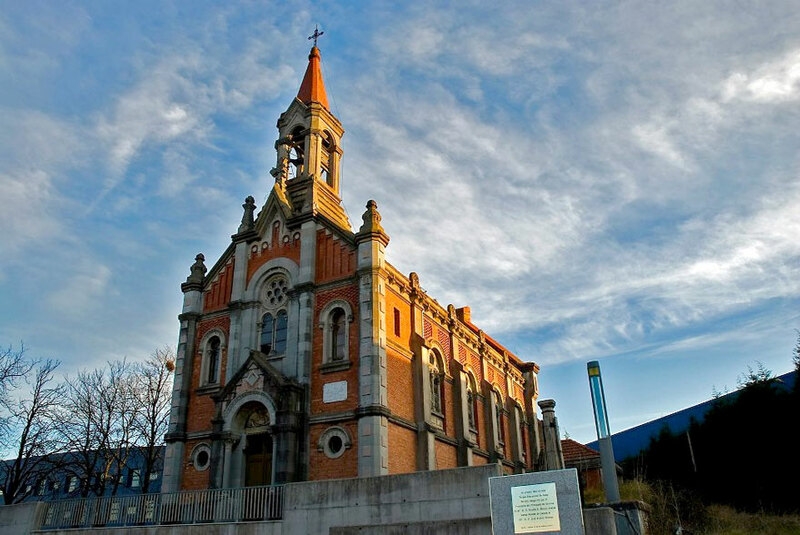 Thanks to Church Brigade and San Miguel, the Spanish Church of Santa Barbara is, once again, a place of pilgrimage. 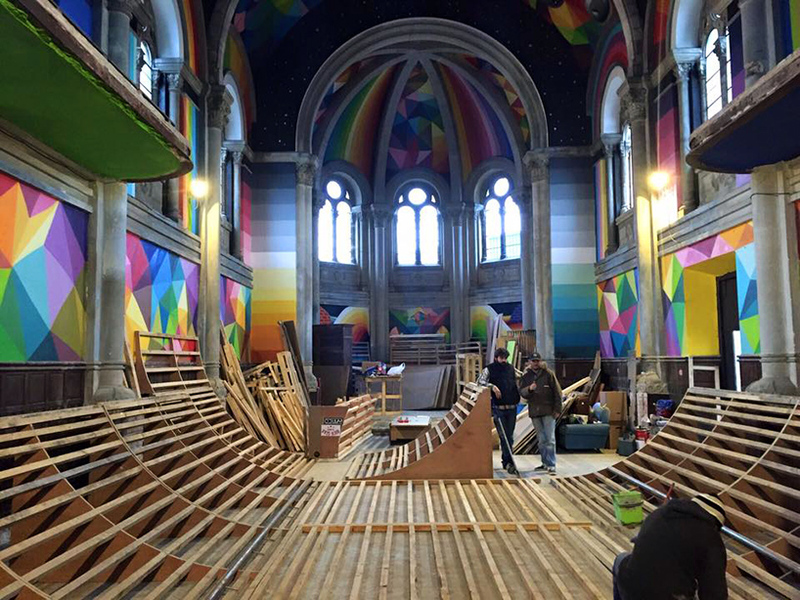 Watch videos of the transformation here, and visit Okuda San Miguel’s website to see his other works.